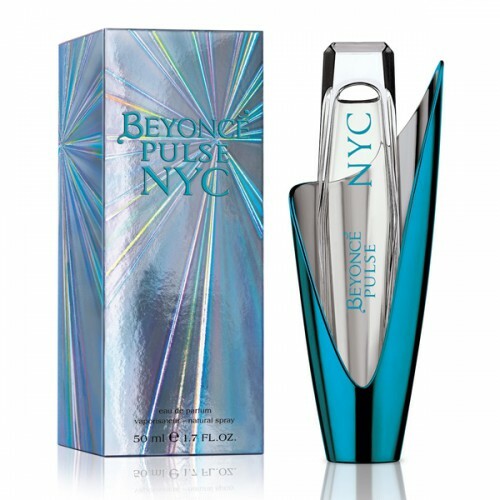 Beyonce Pulse NYC is designed for confident and seductive women. Beyonce Pulse NYC 100ml. Eau De Parfum is designed for confident and seductive women. It is a dynamic and captivating scent as well as the New York City, proudly named in its name. The aroma is inspired by a popular creamy dessert, covered with a sweet cream topping. Then you will open a cocktail blend of pomegranate, pear and juicy raspberries. Along with fruity tones comes the mysterious scent of Arab jasmine and tender peonies. The whole scent penetrates the sensual orchid that blends with the exotic patchouli. The original shape of the bottle carries the dynamism and vibrant life of New York. With Beyonce Pulse NYC perfume, you will become a charming, independent woman who will pull the attention of all the men around you! A true talented beauty and seductress Beyonce clearly knows the sense of female beauty and sexuality. That's why the creation under her name Pulse NYC turned out to be really hot, a little provocative and spectacular! And if you are still embarrassed to declare yourself publicly, then just try on that fragrance and he will say everything for you! Truly feminine perfume overflows and plays a variety of floral and fruity notes that blend together to allow the fragrance to sound holistically and beautifully, so you fall in love with them literally from the first seconds after applying. All the beauty and fragrance of peony, raspberry, orchid and jasmine are fixed on the skin with such a "tasty note" as a cake and patchouli, which give it a kind of piquant, such "animal" note. That's why perfume is created for bold and bright girls, Who are not afraid to emphasize their playfulness, femininity and sexuality.